I really love the way she explains the recipe step by step. You can get the recipe for Poli here. 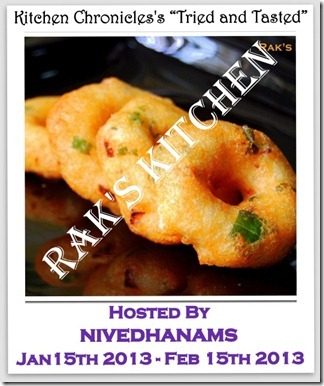 I am sending this Poli recipe to Tried & Tasted Event - Raks Kitchen, this time Sowmya of Nivedhanam is hosting, an event by Kitchen Chronicles by Lakshmi Venkatesh. So yummy and delicious!!! Thanks for linking it to my event!! Looking for more yummy recipes! !